wee inklings: 200th Merry Monday! Happy Monday, everyone! What a special day this is! The Merry Monday challenge is celebrating its 200th challenge, and the talented Debbie Henderson asked me to help celebrate! Merry Monday has a special place in my heart, as Lesley asked me to be on the DT at its inception! Even though I am no longer on the team, I still love to participate as much as possible, building up my stash of Christmas cards throughout the year! So I encourage you to do that too! For this special event, there are four challenges in which you can participate....pick one, two, three or all four! Have fun! I did choose three: snowman, sketch and colors! It was all mounted on a Cherry Cobbler card. So much fun to make! 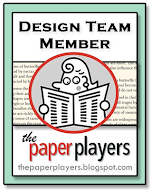 I hope you'll play along with us and share it with us over at the MM blog! Can't WAIT to see what you create! Cassidy doing a little baby-washing...she's quite the mama, even if her baby is standing on her head! 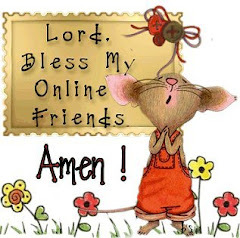 Thanks so much for being my Guest at Merry Monday this week! I so appreciate it and love your card! You made an amazing card...I love all your added embellishments...the snowman, tree and then those wonderful stars...and all the pretty pattern paper too! I am so glad you were asked to join in our MM celebration, you have indeed provided more inspiration to our fans!! Thank you for joining us at MM! I love all the stitched edges.....sweet card! And congrats to Merry Monday! Super cute snowman card, LeAnne! 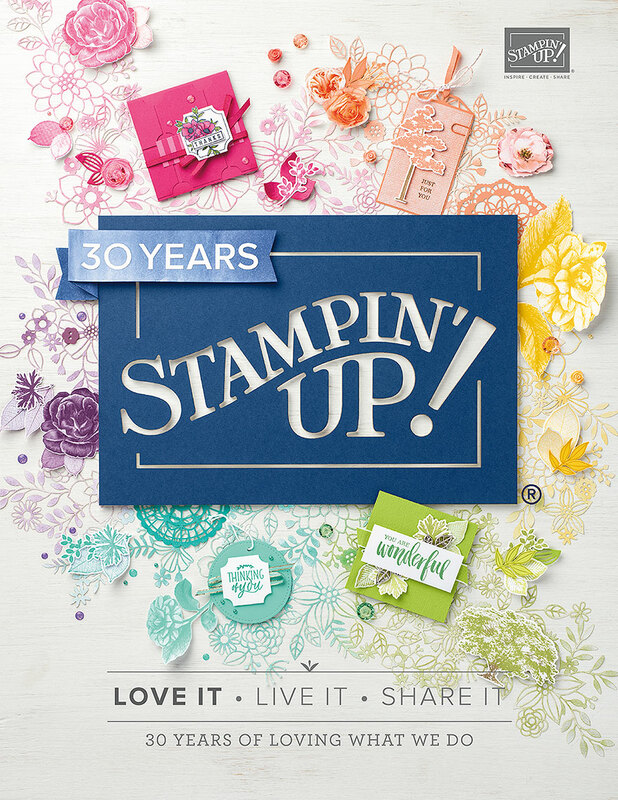 Just love all the details and can see why Debbie asked you to be a special guest!! I'm so happy to be home again ... will catch up soon, but had to tell you how much I love this card - especially since we've had a bit more winter - and this is better than the real deal! Didn't you wash your baby just like this? It felt like it was possible for me! =] =] yay Cassidy! Hi LeAnne! Such a sweet card. LOVE the mix of adorable die-cuts, espeically with the polka-dot papers. ADORABLE! 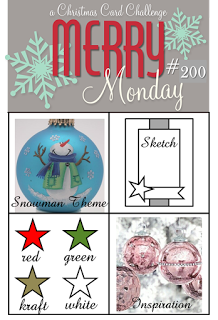 Congrats on being a Guest Designer at Merry Monday's 200th Celebration! What an awesome holiday card, LeAnne! I love the snowman, the die cuts, and the polka dots and gingham. Someone will be thrilled to find this in their mailbox this Christmas (hint, hint)! Congrats on being a GD. Your card is delightful. The polka dot snow drifts are perfect with the polka dot paper. Oh Dear LeAnne - I thought that Debbie was the Guest Designer LOL = hope she's not upset with me haahaha! Your card is so fun with the crispness of it. Loving the traditional colors combined with Kraft paper. This card is so much fun, Lee-Anne! Love how you've used the sketch and all those stitched elements! And it's so nice to have you on the team again this week! Thanks for joining in with our Merry Monday celebration! LeAnn, this is such a sweet card. Love all of the elements. Glad you were able to join us this week at MM's 200th Challenge. What an adorable scene you have created LeAnne. I love the fun papers and colours. So glad that you joined us for our 200th challenge.